Feeding your body with the best quality foods as much as possible is critical when it comes to your overall well-being and improving your body shape. That being said, even if you are eating clean, a diet of whole foods is most likely not sufficient. Whole foods are the key to long-term health, but supplements may just be what you need to take care of any nutrient deficiencies we have. Supplements work by helping us address deficiencies that typically arise from our modern life. Of course, nature intended our food supply to provide us with all the nutrients we need, and what we ate 100 years ago, would have been sufficient enough to provide us with everything. However now days it's a different story, as our food is often highly processed, genetically modified and prepared in a way that often destroys much of the nutritional content. Which is why supplements are advised to make sure we get enough essential nutrients to maintain or improve our health. Nutrient deficiencies have been associated with many chronic diseases such as coronary heart disease, cancer and osteoporosis. Supplements are useful for filling in gaps in your diet needed for optimum health. So why are we deficient in nutrients? Our modern lifestyles are less natural. We are more sedentary, spend less time in the sun, and eat more processed food today than ever before. All three of these issues can contribute to nutrient deficiencies. Industrial agricultural food production reduces nutrient density of our food. Whether it's picking food before it's ripe, repeatedly farming single crops on the same plot of land, adding preservatives and conservatives, or shipping food items across the country, all of these activities decrease the quality of our food. We are not absorbing the nutrients from our food. It's not just the kinds of foods we eat that are important it's how well we absorb them. When our digestive system isn't functioning optimally, we don't absorb the nutrients we need. Supplementation can give us the necessary nutrients we need to stay healthy. 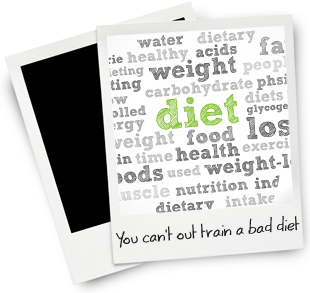 A good diet, along with proper supplementation, are a winning combination for a healthy life and body.